It wasn't said in celebration, but as evidence that the bad guys had done something evil. Something which would put the good guys in greater danger. This is what borderists refuse to see. 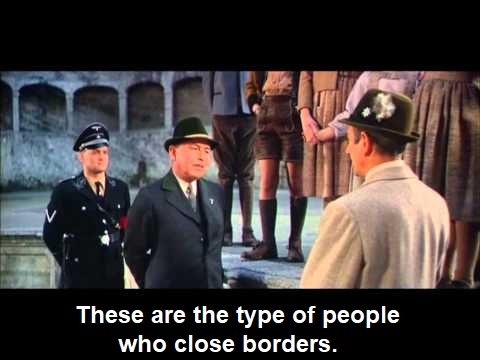 Those who "close" borders might fool you into believing it's to your benefit, but it isn't. It is a trap. A cage. Yes, it may keep some of "them" out, but it can also keep you in. When people talk of building the wall I have had a habit of saying your last sentence, or a variation of it.